Step aside, avocado toast: this easy-to-make variation couldn't be more perfect for fall. 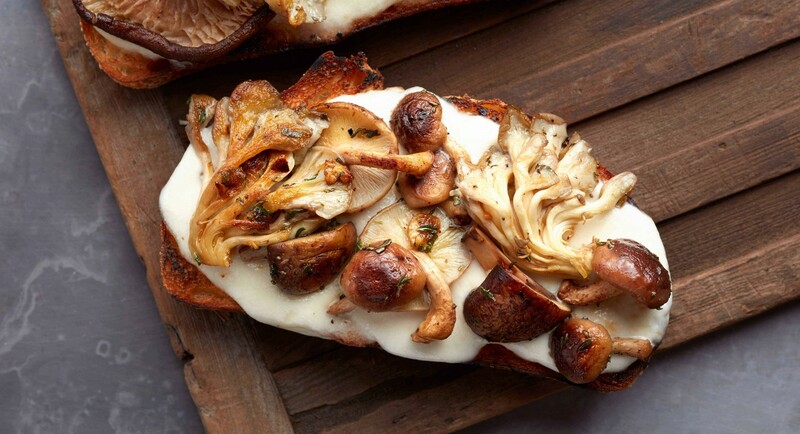 Bringing together roasted mushrooms, creamy mozzarella, crusty bread, and seasonal herbs, it's warm and satisfying served as a brunch dish, snack, or light dinner. Heat olive oil in a skillet over medium-high heat. Sauté garlic, rosemary, sage, and thyme in oil until fragrant, about 30 seconds. Add in mushrooms and sauté, stirring occasionally until cooked through. Season with salt and pepper to taste. Brush the tops of the bread with olive oil and top with mozzarella. Place on a baking sheet and toast in oven until the mozzarella has melted, about 3 to 5 minutes. Top toast with mushroom mixture.